I’m delighted to welcome Jennifer Landis back to the blog today. 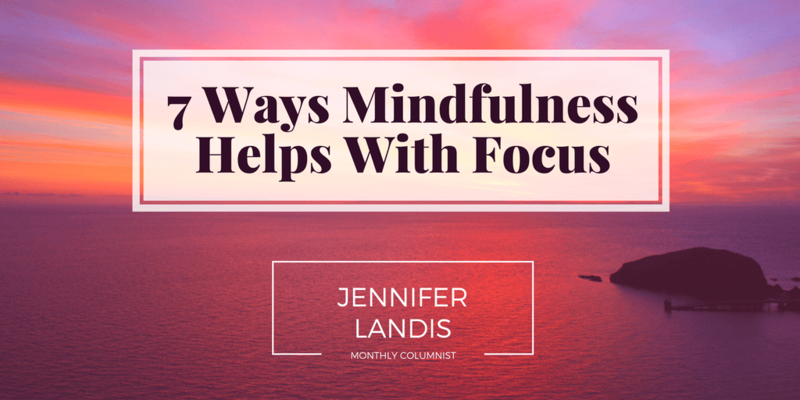 Jennifer first joined me during the Week of Well-being and Inspiration with a wonderful post about mindfulness and writing. 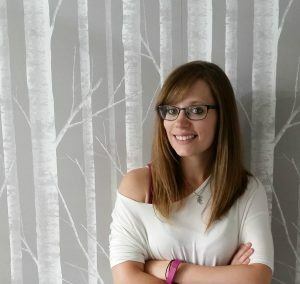 Jennifer will be visiting the blog with a monthly column going forward. I can’t wait to read her posts and hope you feel the same! The scratch of the pen indents the page with heavy marks, striking through your carefully crafted phrases. Not the right words. The cursor blinks: Fingers move over the keyboard, only to backspace, to delete what was written. Not the right words. No matter your writing preference or how diligently you stick to your routine, focus eludes the most dedicated of writers. It’s like your muse decided to hover over your shoulder, laugh and say: “Hah! Nope, not today. No words for you. Bye!” Then, your elusive muse who provided your inspiration and focus skipped off for an impromptu vacation with no notice of return. Reclaim your muse and focus with mindfulness, which encourages you to be aware of all of your sensory details in the moment, providing you with an influx of inspiration and mental relief from stress and worry. 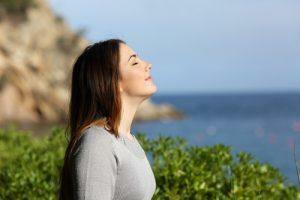 The easiest way to practice mindfulness is to tune into your breathing. Let yourself follow your natural breathing pattern, flowing in and out. For increased calm and control, it may be helpful to slow your breathing, inward at a count of three and outward at a count of three. Focus on how breath fills your lungs. As breathing comes naturally, so will the words. Speech and thought are as natural as breathing, even when you’re stuck telling yourself that this piece is going nowhere. That’s writing, and the process. Part of focus isn’t pushing through, but working through the places where you feel stuck, and mindfulness is the observation of it without judgment. Breathe in the smells of lavender, freshly cut grass and the wet air after a rainstorm. Fill your eyes with an expansive blue sky, streaks of a rainbow and fluttering leaves in the wind. Look more closely. Watch the ants return home with tasty, sugary meals. Listen to the intangible air made tangible as it rustles the leaves and the birds chirp in anticipation of … what? Use your words to describe what your senses take in. Be mindful of your environment as you immerse yourself in details. Though you may not usually consider it, there is much life and many happenings around you. Talk a walk in nature and use at least three senses to describe the details you experience. Breathe, and let your senses envelop you in the present moment. Be still within your body and witness what it feels. How is it doing today? As you move or sit, you may notice aches or tension in certain parts of your body. Many people are familiar with the tight tension across the shoulders from sitting in a hunched-over position most of the day. However, be mindful that the body also literally wears its stresses. Listen to its needs for food and sleep, which will also improve your focus. Your body has so many things to do every single day. In fact, the to-do list of your liver is extensive and involves more than 300 functions, from secreting bile to producing proteins that are essential for blood to clot. Be easy on yourself. Have you ever tried free writing, with or without a timer? Free writing places no restrictions on you, unless you set them. The idea is to place words on the page, whatever comes out, without judgment. This is also a mindful act, as you are doing it without judgment, being aware of the pen in action in the moment. For some, writing with a timer loosens the words from the mind and lets the pen do its thing on the page with freedom from anxiety. The rush to get the words on paper before the timer goes off helps get you unstuck. For others, simply giving yourself permission to write anything, no matter how crappy, is the key to finally releasing the words. Let the pen lead. When you think of Mary Jane, you think of cannabis, which is a natural association, and some do use cannabis products to be more mindful. While some people may require a medical prescription for marijuana products to help with an anxiety condition, for example, there are other cannabis products that can help with relieving stress. The Mary Jane has many helpful plant parts. 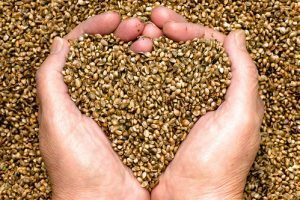 Hemp also comes from this same plant, and it is in many of the products you use every day, such as cosmetics, oil paint, plastic and even paper. A small field of hemp is more sustainable than trees used to produce paper, since hemp produces more fiber than any other kind of plant. In fact, hemp fibers have been used for centuries to make paper. Why not use Mary Jane in a new way and buy hemp paper? Incorporate these hemp pages into a writing ritual where you sketch out your ideas first on paper before transferring them to the computer for editing. Handwriting gives you the opportunity to mindfully experience your ideas in a very physical way. Think of when you wake up in the morning. What is your cue that the day is getting started? Do the kids wake you up? Do you need a cup of coffee? Similarly, a mindful inspiration trigger can get you into the writing groove. Brew a pot of coffee and let the smell of the grind be your cue to start writing. Light incense. Practice mindful breathing, or organize your work area. Find your trigger, and let mindfulness lead the way back to focus. Sometimes the world becomes too routine, as does your process. So go somewhere completely unknown to you, and let the environment stimulate your senses. Find a detail to focus on. Imagine a character in this setting and how they would react. The details that appear first to you may not be observed right away by your character. Imagine you are in the shoes of your character. What do you notice as them? Write it down. When the muse eludes you, mindfulness becomes a powerful tool to reclaim your focus in writing and other areas of life. It’s as simple as breathing. Sometimes, you just need to change up the routine by changing the environment or noticing a new detail. It’s difficult to sit within your body without judgment of its thoughts, feelings and functions, but you are your own worst critic. Mindfulness is a helpful tool for getting past your inner editor to get words down on the page. Now, go write!